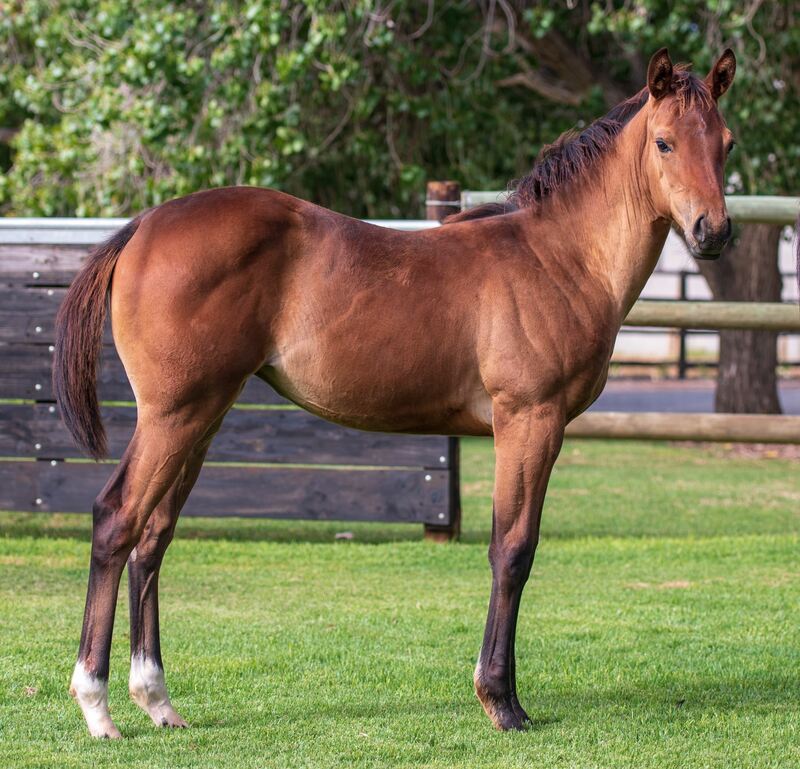 2yo filly out of 10F stakes winner Valor Red made her first start on Saturday at Kenilworth,finished 2nd at 45-1. Should improve as she stretches out. Sold a yearling colt out of Valor Red today for $3.3 million Rand($266,000) to Hong Kong Jockey Club. Bridal Veil has a new trainer,hopefully on the improve. 2yo Mumtaz awaiting her first start,out of stakes winner Agra. Sounds like pretty good news Hoop, with the exception of TV not being able to get their horses out of SAF. If they leave some broodmares there, what's the plan if the foals or mares in foal don't sell? Are they going to race the foals and get back into the SAF racing business? Most everything revolves around the export rules. Can’t imagine a racing presence if things don’t change. That yearling we just sold won’t be running until he is a 3yo in Hong Kong. 2yo filly Mixed Signals broke her maiden yesterday in her 2nd start for us. Live family right now. Video of Mixed signals breaking her maiden. A little surprising as the dam was a stakes winner at 10F. Hoping she can stretch out going forward. Valor Red produced a filly on Tuesday,by Trippi. Hoping to hit another home run with this foal,on track or in the sales ring. Good luck with young Valor Trip (logical name!). Hope she's part of a bidding war at a sale. Thanks Pro. I’ll keep you updated. The now 3yo filly Mumtaz (Visionaire-Agra) broke her maiden today in R2 at Durbanville,5F turf. Valor Red weanling filly born in September.